Butzel Long is committed to providing superior legal services to Minority Business Enterprises (MBE). The members of our Minority Business practice have significant experience in organizing and structuring MBEs and assisting them in obtaining Michigan Minority Business Development Council (MMBDC) certification. The MMBDC is a privately funded, non-profit corporate services organization whose mission is to facilitate business relationships and procurement opportunities among MMBDC certified Minority Business Enterprises and corporate members. Butzel Long has been an active corporate member of MMBDC since 1992 and is proud to support its mission and goals. Butzel Long attorneys have significant experience in structuring joint venture entities, strategic alliances, and other relationships among MBEs and other businesses. Our attorneys have learned how to apply their expertise in areas such as commercial lending and labor and employment law to the special needs and problems of minority-owned businesses over the years. 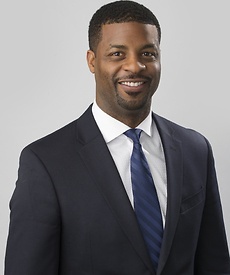 Our team of attorneys is successful at leveraging the size and depth of their experience in the full range of legal services to assist both small and large Minority Business Enterprises. In addition to Butzel Longs active support and participation in networking and fund raising events, the firm has a Supplier Diversity Program through which our purchases from MBEs are increased. Butzel Long also participates in MMBDC's Project One, in which certified minority owned businesses and corporate members are organized into modules in order to better interact and provide procurement opportunities for the MBEs. Butzel Long also provides support to a number of community organizations including the Arab American Chamber of Commerce, Black United Fund of Michigan, Detroit Urban League, Hispanic Business Alliance, Hispanic Chamber of Commerce, NAACP, Rosa Parks Scholarship Fund, and the US Mexico Business Association.